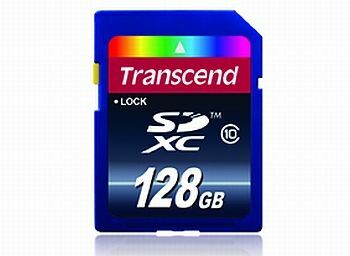 Transcend, one of the leading makers of memory cards has announced their fast 128GB Class 10 SDXC card. The card is designed around the need of photographers and film makers who require high-speed and high-capacity cards for storage of large files. Towards that end, the new cards use the exFAT standard, which allows for file sizes larger than 4GB. On a 128GB card, it’s possible to shoot full HD footage (at 25mbps encoding) for about 87 minutes, or about 5000-8000 RAW files, depending on the megapixel count. A high capacity card is definitely a major plus, but read/write speeds matter a lot too. In that department the Transcend card goes up to 22/16MB per second, which is quite sufficient for high speed RAW shooting and even HD video. 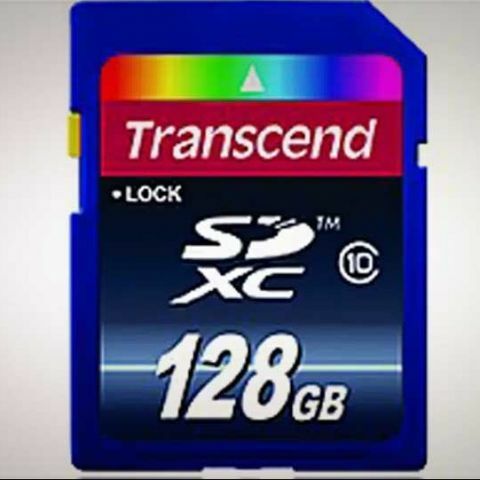 The Transcend 128GB SDXC card costs a whopping $169 and the 64GB variant will put you back by $79. Interestingly, Sandisk has priced its equivalent cards, which have a faster write speed, at $130 and $67 respectively. With a growing DSLR and HD Video market, and the pixel counts increasing with every new product, it is becoming increasingly dire to have higher capacity cards. There was a time when cards with triple digit capacities would cost anywhere north of $700, but thanks to the way technology works, demand is driving the cost of these high capacity cards down really fast. How much do u rate d performance of class 10 16gb memory card on lumia 520? Will Watch Dogs run in a Direct X 10 supported Graphics card?